Where more than just one custom piece is needed, we are happy to work with you to design and build out your space, whether it be residential or your place of business. Please contact us with a description of your project needs. This bedroom set is made of Reclaimed Southern Pine structural beams. It is outfitted with a couple of Lip End Tables made of cutoffs from the large project. 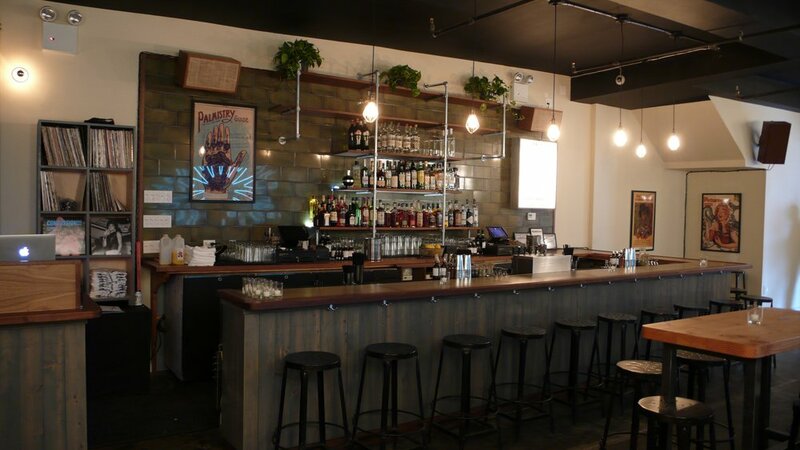 Our Wicked Lady is a bar in Brooklyn, NY. 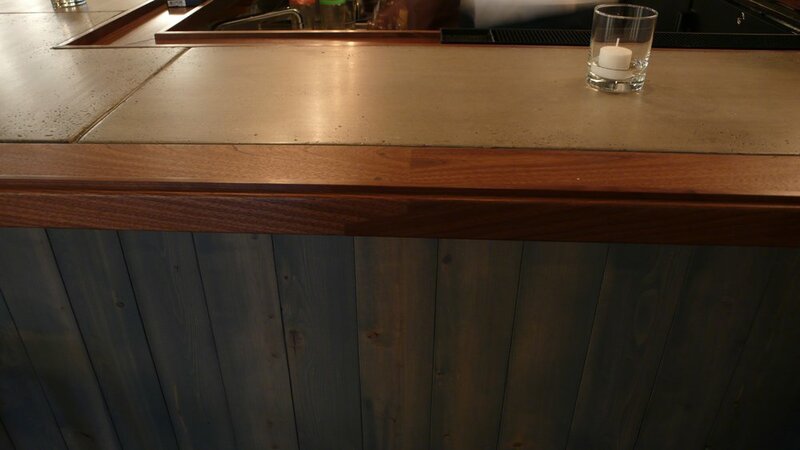 Materials include reclaimed pine for all structural elements, reclaimed water tower cedar for the face paneling, Black walnut for the back bar, shelving and drink rails, and Black Walnut with custom cast concrete for the bar top. During the build out, some wood beams were removed to accommodate a staircase to the roof deck. The wood was reintroduced to the space as tabletops. Pizza Moto is a restaurant in Brooklyn, NY. 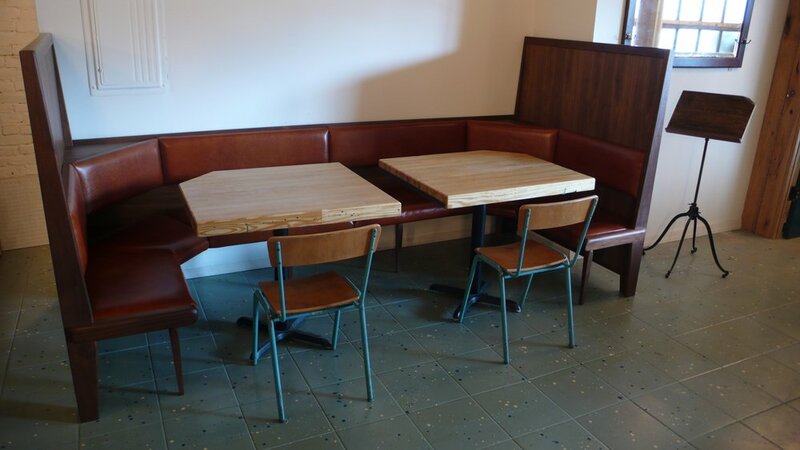 The seating booth is made of Black Walnut with leather upholstery.